Blank walls are always a challenge, unless you've got an interior designer, artist friends, or buckets of money. 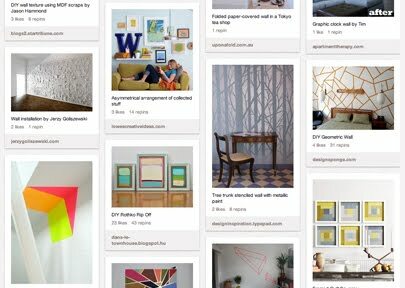 I've collected some wall art ideas here on Pinterest that require varying amounts of skill to execute. If you've got a wall that needs some help, maybe something will spark an idea. I won't blame you if you don't attempt the one that requires 350,000 Post-it notes. You have read this article decorating with the title DIY ideas for blank walls. You can bookmark this page URL http://jenkrebs.blogspot.com/2012/11/diy-ideas-for-blank-walls.html. Thanks! No comment for "DIY ideas for blank walls"